Applications are open for the Google and Udacity joint Web and Android Scholarship Program for African students . When applying, you will choose between learning web development or Android development. From there, once you’re accepted, Udacity will place you in one of two tracks (beginner or intermediate), depending on your existing skills and experience. After that, the learning begins! 150 scholarships to the Front End Web Developer Nanodegree Program. 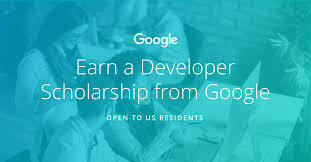 200 scholarships to the Mobile Web Specialist Nanodegree Program. Top students from each track will earn full scholarships to one of our Android or Web Development Nanodegree programs. Some scholarship recipients may be able to participate in an Andela Learning Community with the partners from Andela.